Hi loves! Since I'm on vacation right now, I asked some of my favorite bloggers if they wanted to do a guest post while I'm gone. One of the talented ladies that said yes is Jenny from Lavish Layerings. 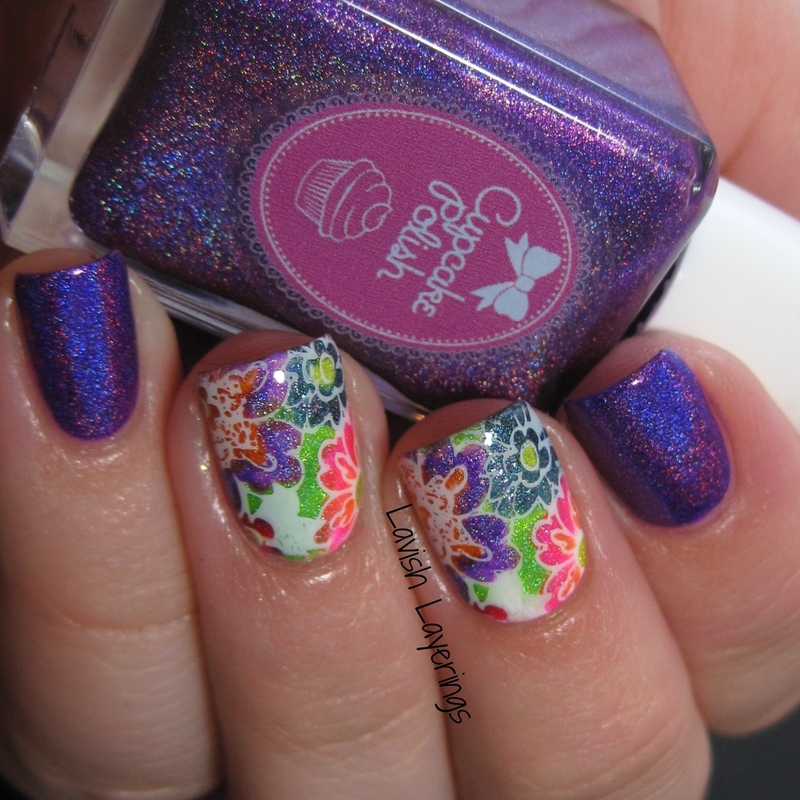 Aaah, her Elevation Polish swatches.. to die for! Well all of her swatches actually, she is just so talented <3. So please make sure to check out her blog and let's take a closer at the gorgeous look she created. Hi everyone! I'm Jenny from Lavish Layerings (@bostonmerlin10 on Instagram) and I'm so excited to be guest posting for Deborah today! What can I say, Deborah has been my nail crush for ages and she is constantly enticing me to buy ALL THE THINGS (especially Dance Legends)! I feel so fortunate to have gotten to know her better over this past year because she is so down to earth and a total sweetheart. 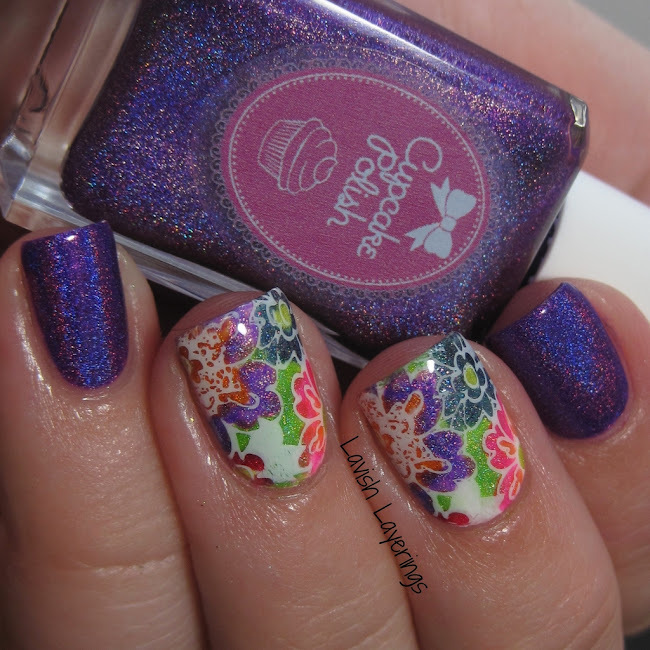 Deborah also does some gorgeous nail art looks and I think that her signature nail art look is double stamping which was what I originally had planned to do for my guest post, but I ended up being unhappy with my design in the end. 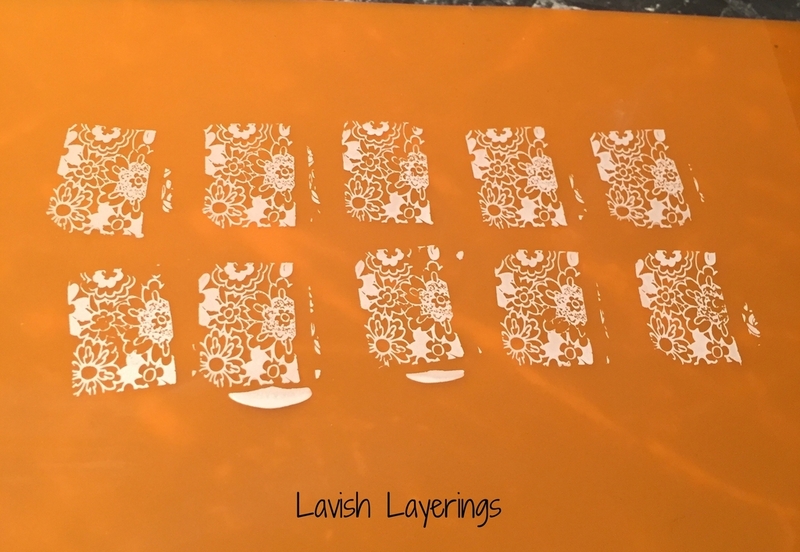 Then I thought about some information that Deborah recently enlightened me with about using a silicone baking mat to make stamping decals instead of making them one by one on stamper heads (which is really time consuming). It's such a brilliant and time-saving idea and I was extremely pleased with how well it worked. I strongly recommend picking up an inexpensive mat and trying it yourself! For my mani, I started off with 2 coats of a white creme (KBShimmer Eyes White Open) on my middle nails and let them dry completely. Then I trimmed my decals down so that they were close to my nail size to minimize clean-up. Next I applied topcoat and pressed my decal into place, smoothing it out with my finger. I used my clean-up brush dipped in acetone to clean up the excess around the edges and free edge of my nails and then sealed with topcoat. On my other nails, I used 2 coats of Cupcake Polish Berry Good Looking which is totally freaked my camera out and is a much warmer/pinker looking purple in real life. 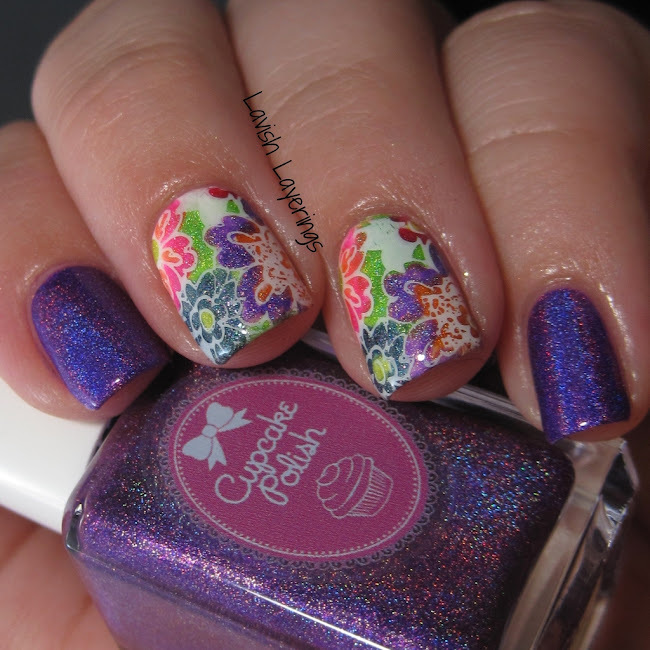 It's truly a stunning purple and a must-have in my book! The finished look totally exceeded my expectations and now I'm going to be making a lot more stamping decals since I have a much simpler way to make them now. Thank you so much to Deborah and her readers for having me today! Thanks for looking everyone! 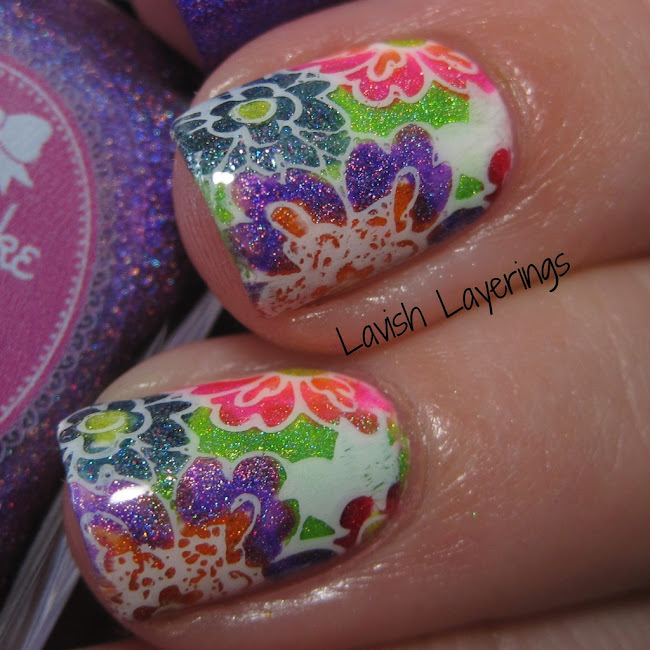 Woooaah, how gorgeous are these colorful decals? And I'm so happy to see others having fun with a simple siicon baking mat - you know that UberChic Beauty mat is pretty and all, but this works the same and is way cheaper ;-). Thanks so much jenny for taking the time to create this look <3.